Great weekend in Bristol! Dave goes rounds in SC to the semi-finals! 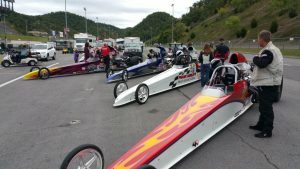 School g rads Dave Shotsberger and Mike Egan raced two of the Hawley School S/C dragsters at the NHRA Southeast Division race in Bristol, TN last weekend. Egan did well, advancing to the second round while Shotsberger was number 1 qualifier with a perfect 8.900 run! 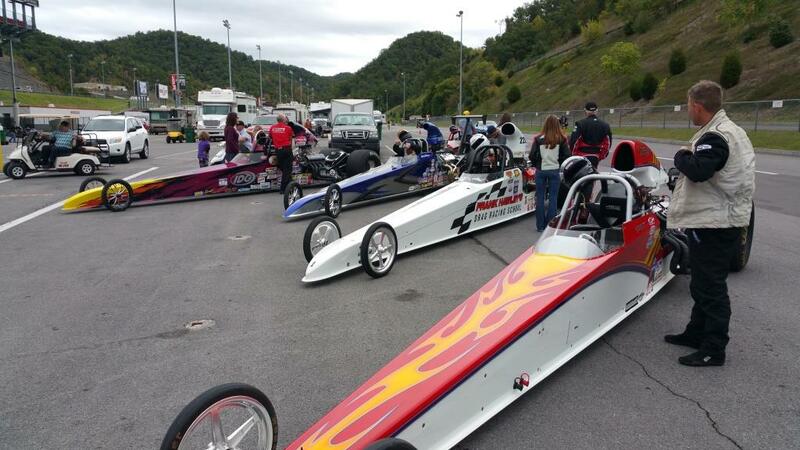 Dave then went 5 rounds to reach the semi-finals, where he lost in a very close double break out run by .002 seconds! 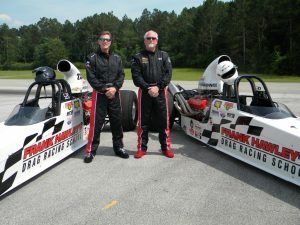 The cars that Shotsberger and Egan raced in Bristol are the same cars that students get to learn to drive at the school! 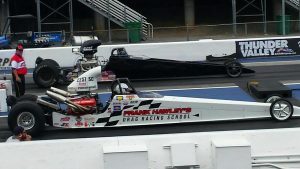 Frank Hawley’s Drag Racing School can give anyone the chance to go from a complete beginner to the winners circle! For more info on any of our classes visit our website at www.frankhawley.com or contact us at 866-480-7223!